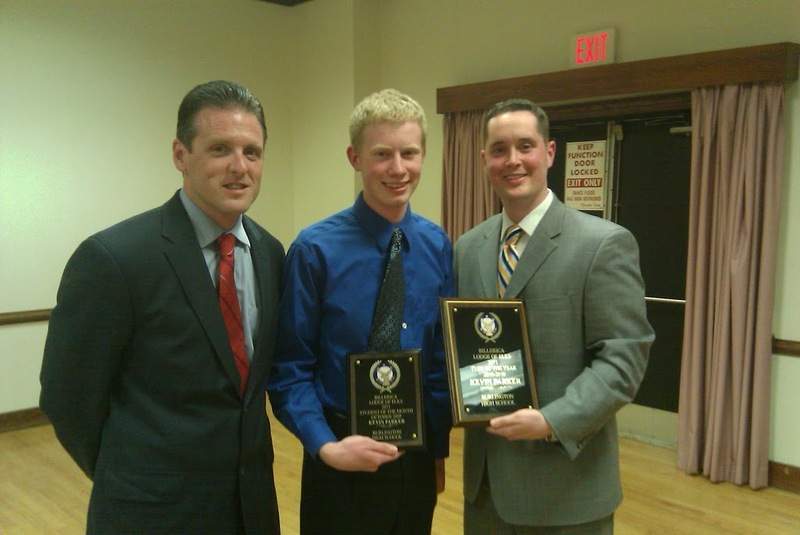 Congratulations to Burlington High School senior Kevin Parker who was awarded the Teenager of the Year Award from the Billerica Elks Club this week. Kevin (center) is pictured above with me and Jesse Fennelly (right), an aide from State Representative Charley Murphy's office. We're very proud of you, Kevin. Keep up the great work!! Congratulations, Kevin. We're all very proud of your achievements!! !